The CONF program is proud to announce the publication of three articles in prestigious international journals, all of which are the result of student-faculty collaboration. Zeynep Başer’s (CONF ‘11), with CONF faculty Ayşe Betül Çelik, conducted an insightful study on the Kurdish youths’ framing of the Kurdish issue in Turkey. This study was recently published in Patterns of Prejudice. Click here for the abstract. Ekin Ok (CONF’11), Rezarta Bilali (CONF’04), again with CONF faculty Ayşe Betül Çelik, looked at minority-majority relations in various stages of conflict with supporting evidence from the Turkish province of İzmir. 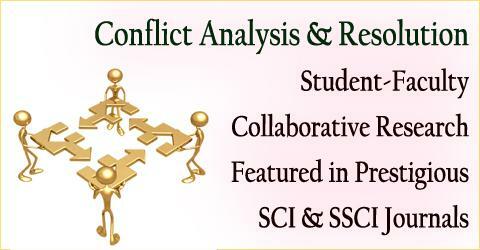 This study was published in International Journal of Intercultural Relations. Click here for the abstract. Reina Zenelaj (CONF’11), with CONF faculty Emre Hatipoğlu and former CONF faculty Nimet Beriker, examined the determinants of mediation success in post-conflict settings with a specific focus on Bosnia. The team’s study is forthcoming in Australian Journal of International Affairs.Click here for the working paper.